The Mews Apartment is quietly situated within the extensive grounds of Daviot Lodge less than 10 minutes drive from the centre of Inverness. The Mews Apartment at Daviot Lodge, Daviot, Inverness, Inverness-shire (Sleeps 1 - 2). 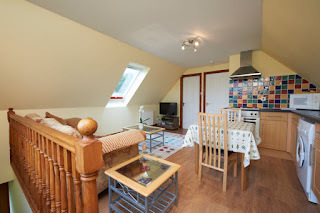 It is the perfect place for a holiday or short break for two. You will have a wonderful time exploring Inverness and further afield and if golf is your weakness you will be spoilt for choice with gentle nine hole courses to the most challenging links. 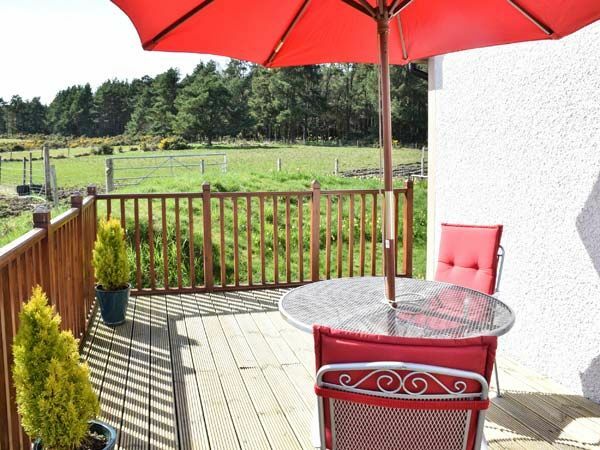 Culloden Battlefield, Cawdor Castle, Loch Ness and the Cairngorms National Park are all within a short drive and even a day trip to John o' Groats or the Isle of Skye is within your grasp. 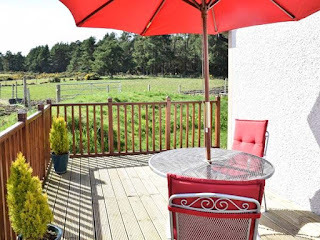 After a day exploring this lovely corner of the Moray Firth (where you might see dolphins), The Mews will be a warm and welcoming retreat to return to. You will have a wonderful time in this bijou first floor apartment with wonderful views over farmland and hills.